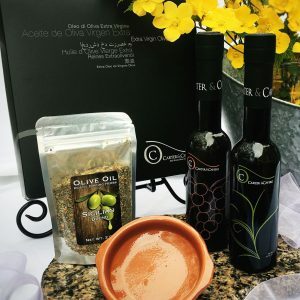 Not sure which olive oil or vinegar to order or maybe you just want to try a whole bunch? 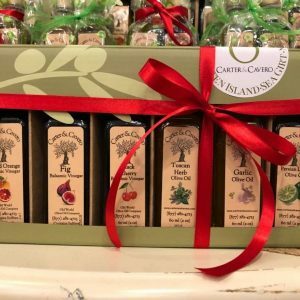 Perhaps you want to share a sampling of our popular olive oils and vinegars with a friend, family member or business associate. Our 6 bottle sampler sets are perfect for all of the above. 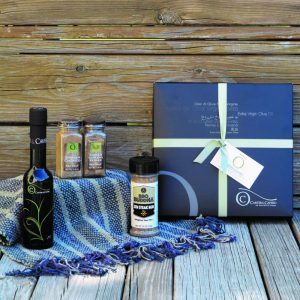 WIth several different sampler combinations, you are sure to find a sampler that is just right! This popular sampler features a 60 ml. 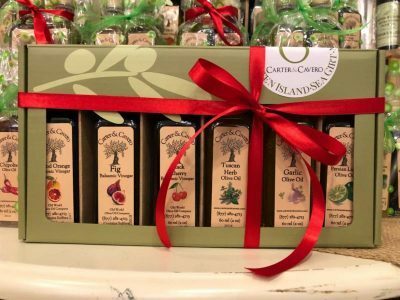 bottle each of our Fig Balsamic, Traditional Balsamic, Pomegranate Balsamic, Raspberry Balsamic, Sicilian Lemon White Balsamic and Dark Chocolate Balsamic.